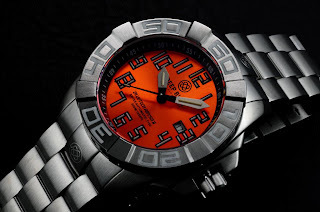 By TLex A cool watch with a cool name! The new Bluetech ABYSS II from Deep Blue Watches, USA boasts a total of 52 Tritium Tubes. 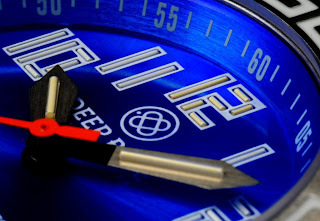 There are a total of 49 tubes on the dial making for a pretty impressive light show - something Deep Blue watches are well known for! 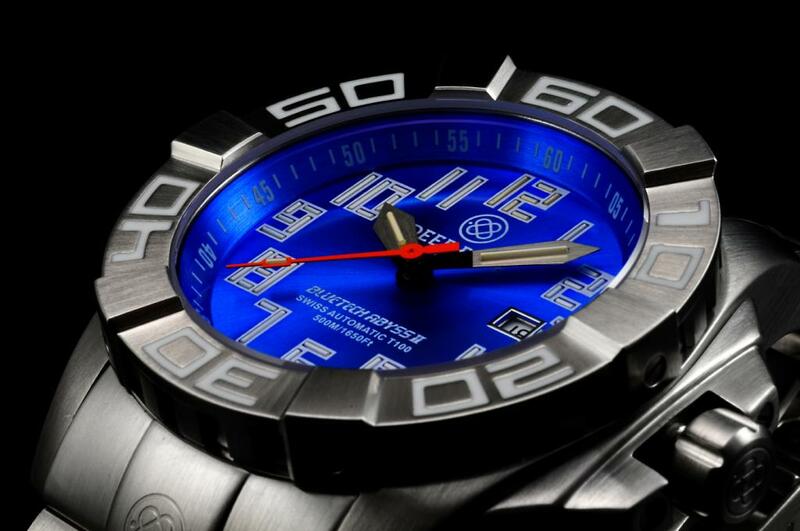 The Alpha numeric hour markers give the mechanical dive watch a unique digital feel! The Bluetech Abyss II has a large Stainless steel case measuring: 46mm (diameter) x 18mm (thick) x 55mm (lug-lug) x 52mm ( top-bottom). 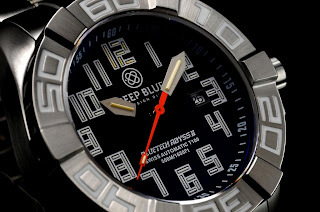 It fitted with a Sapphire crystal, a 6mm thick divers bezel with SuperLuminova applied dive time-scale and a exhibition caseback that affords a view a 'Deep Blue' custom rotor. The watch has a water-resistance of 500 meters / 1650 feet. 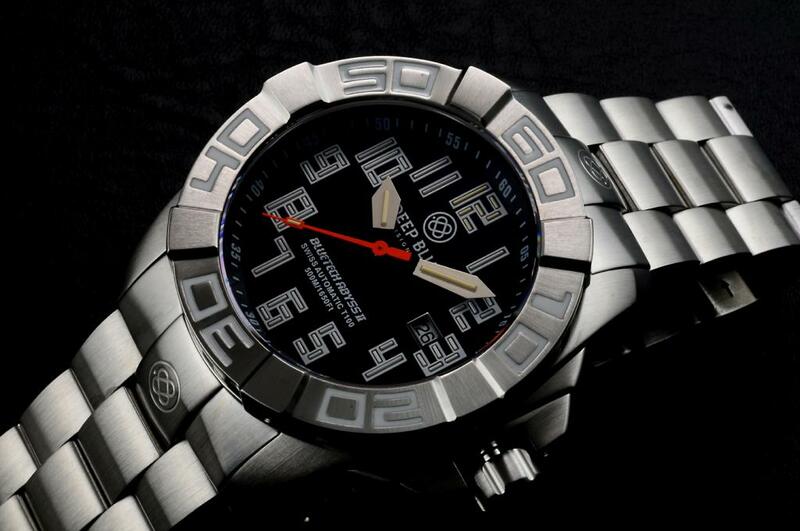 It is fitted with a 'DB' signed screwdown crown, which is in turn protected by a large crown protector. The was is driven by a Swiss ETA 2824-2 self-winding movement. 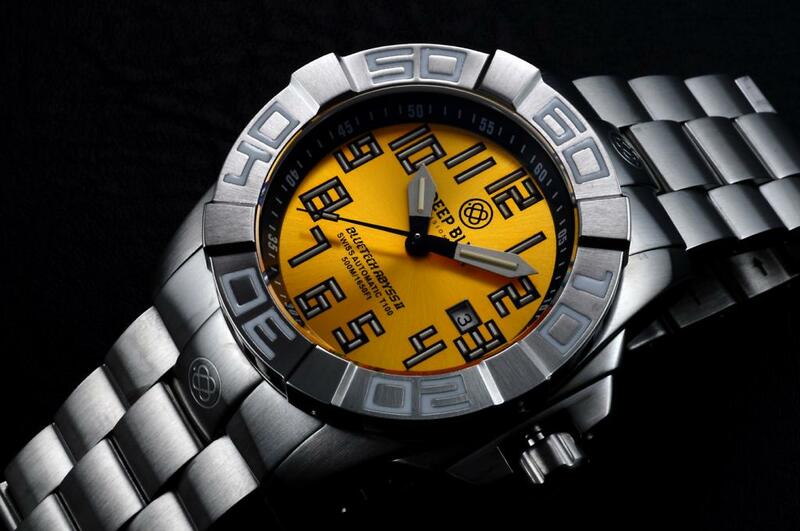 It comes a standard with a 26mm steel bracelet with divers safety clasp with 4 micro adjustments, 1/2 links, full links, and a wetsuit extension. 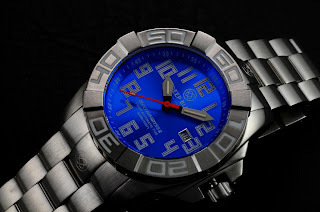 The new Bluetech ABYSS II has an MSRP 999USD. 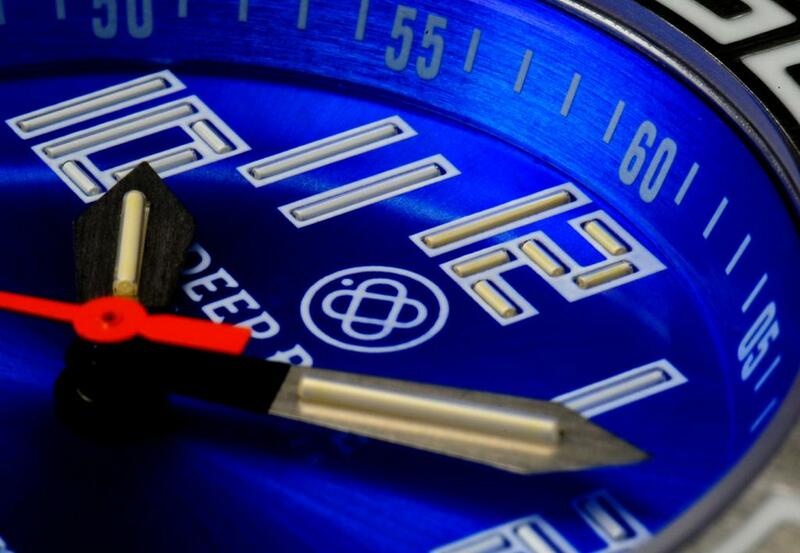 It can be ordered directly from Deep Blue. Follow the link embedded below for further details . . .